Your loopy flowers are so fun. And way to go using that duvet cover on the back. I really like the print. So far the doodling hasn’t transferred spectacularly to my FMQ, but I’m trying. 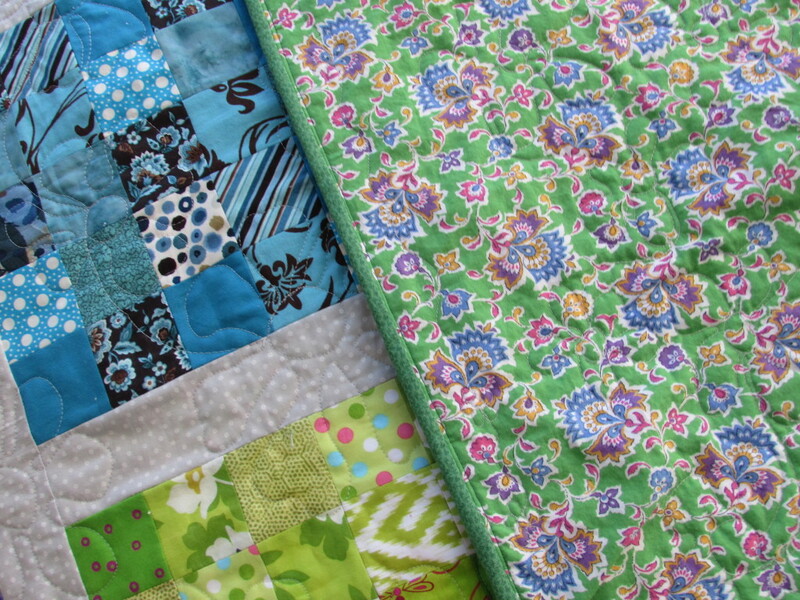 I do quilt my own quilts. FMQ seems to take forever to become adept at. Each quilt seems to look a little better though and I do think the doodling helps a little. 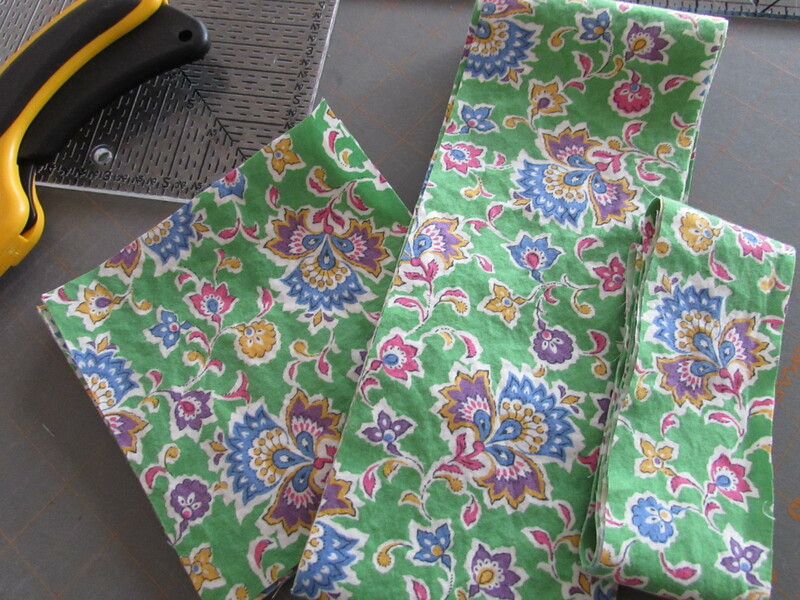 I drew these silly flowers all over the newspaper before I started quilting them. 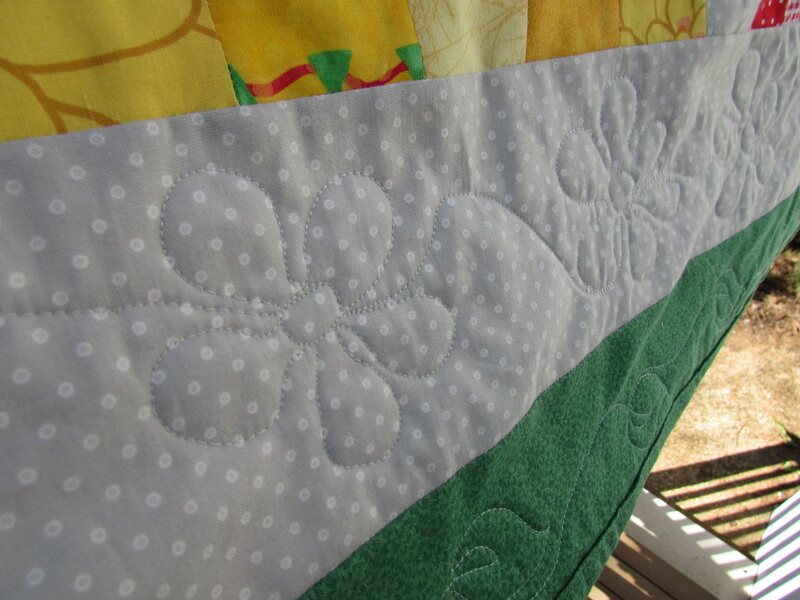 Beautiful quilt and those big flowers are so neat and look perfect on it! Thanks Connie. 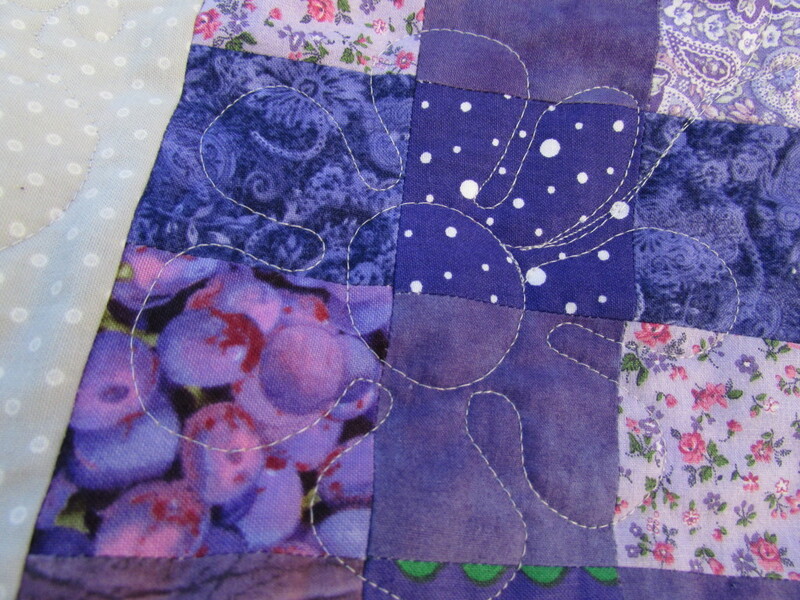 The flowers improved as I quilted! The first section isn’t great but as I went on they did improve. Guess that’s what it’s all about, right? I love the loopy flowers. My freemotion tends to get small and tight – it’s good to see a large free-hand design that looks great. 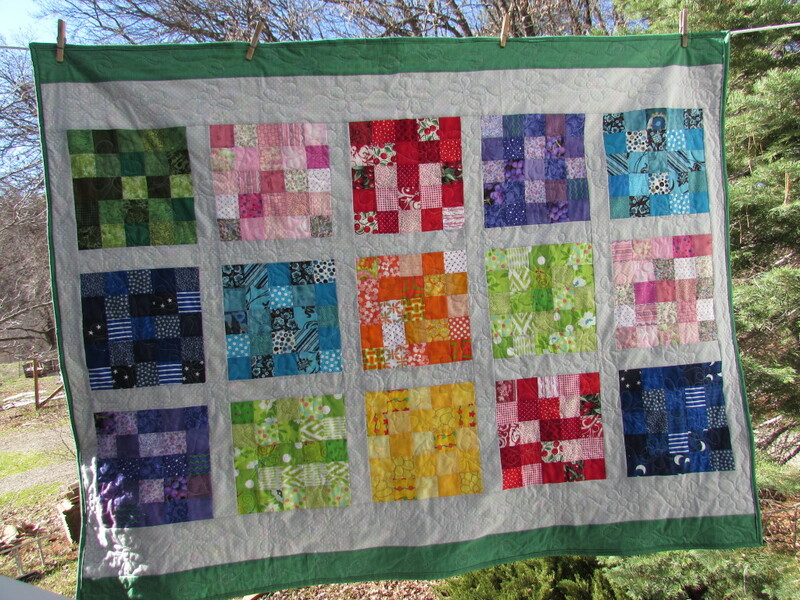 I actually have to work at it to get my FMQ to stay large and more relaxed. For this I took a sharpie and drew all over some newspaper to kind of get the feel of it before I started. That seemed to help. Often my designs get small and tight as well. Thanks for coming by! Wow, you’ve been productive! I love how the 25-patch quilt turned out! So bright and happy! 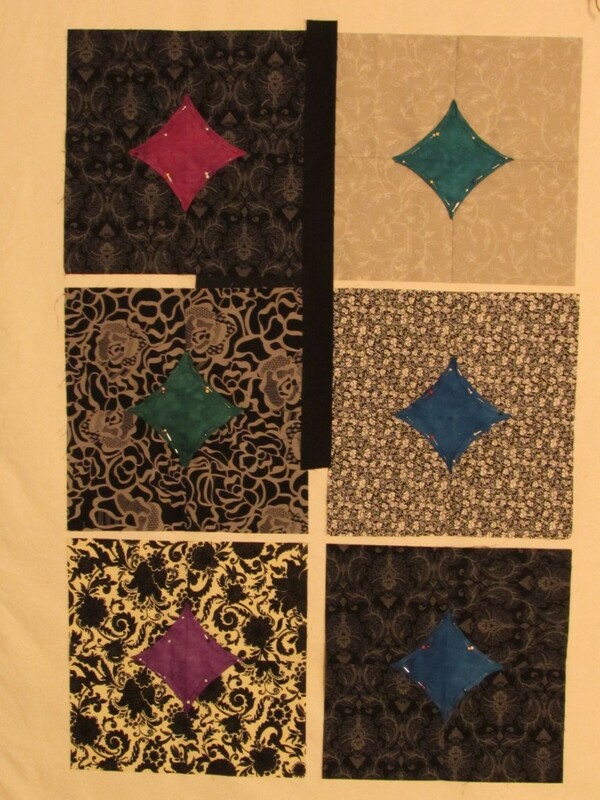 And those black/white/colorful center blocks will be lovely set on point. Looking good! For some reason I never doodled flowers, I always doodled words or letters, which generally got me in more trouble! You’re very welcome. 🙂 I loved doihg the Rainbow Scrap Challenge over at “superscrappy.com” and decided to do it again this year. Great way to work through the scraps! Thanks for stopping over. This is a great finish! Love those loopy flowers. Thanks Kymberly, for your kind words. Love your scrappy finish! And I love the little story about your PE teacher named Flower. Isn’t it funny how random things can spark memories? Exactly… Especially when I am doing the sometimes mind numbing task of FMQ, I will think of all sorts of things. Conversely, at the grocery store, I cannot remember two of the five items I was shopping for!! What is that all about? Thanks for stopping by!